I would like to say a big Thank You for all the work to put into my wedding dress. It was absollute perfect for me. I thought it would be very hard to find a dress in a bigger size, but you made it so easy and you were honest what would look good on me. Everyone commented how stunning I looked in the dress. I have attached a couple pictures. I felt like a princes on my day. Hi Connie, I just want to say I can't thank you enough for helping to make my wedding day absolutely amazing. You knew exactly what kind of dress would be right for me, and I am eternally grateful that I came to see you! I received so many compliments on the day and afterwards about how truly exquisite the dress was. Thank you. I can't wait to recommend you to my friends when they are looking for wedding dresses. Hi Connie! I hope you are well. Just wanted to thank you again for my amazing wedding dress! I felt amazing on my big day and almost everyone commented on the style and how much they loved it! Thank you for making one of the biggest decisions of my life as easy and smooth as possible, will recommend you to anyone I know getting married! 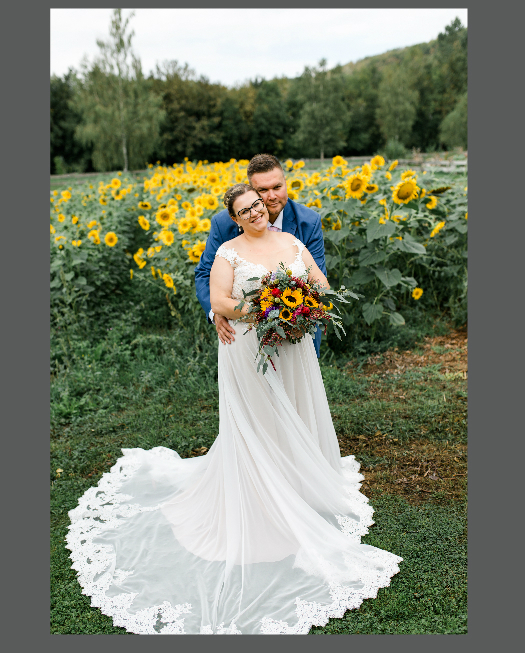 I just wanted to send you some of my wedding photos in my amazing dress thanks to you!! It was beyond amazing and fit so perfectly!! So thank you again so much for everything. I highly recommend you to everyone I talk to. Hi Connie, hope you are well. So sorry for the delay! I want to thank you for my beautiful wedding dress. It was absolutely perfect ☺️ I have received so many lovely comments! You are amazing at what you do and I will be recommending you to everyone! I wanted to say thank you for helping me choose my perfect dress while my family were the other side of the world. You were flexible and patient, guided me when needed and everything was done so quickly! I can't believe the big events have happened now, but the dress you helped me with will give me a lifetime of pleasure looking at pictures, where I have never looked happier. Just sending through a few shots of my dress from our wedding day!